Let’s face it, apps have changed the way people travel. It has added so many modern conveniences, sometimes, making me wonder how we ever lived without them. However, with that premise, there are also LOADS of apps out there that sometimes, it gets too overwhelming to find useful ones and weed out the useless ones. 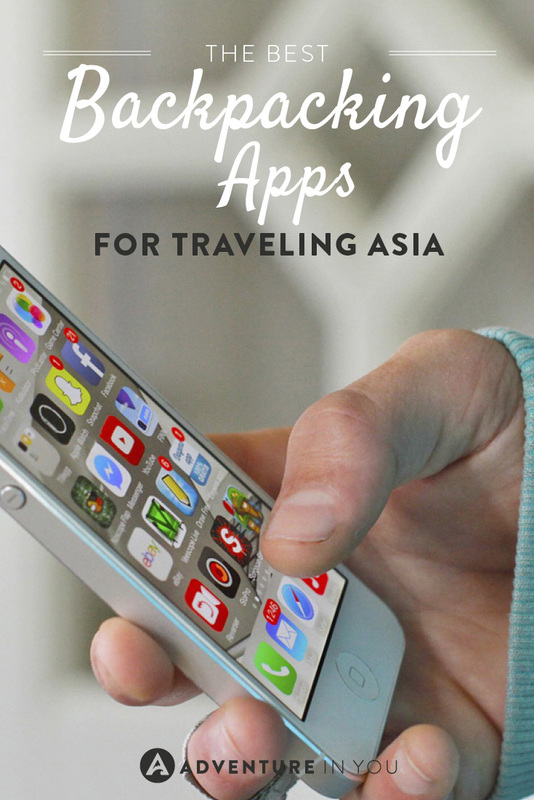 So, because I am awesome and I love apps, I have compiled THE ULTIMATE LIST of the best backpacking apps for traveling Southeast Asia. Now, this is a no-brainer right here. When you’re constantly having to navigate your way through Baht, Dong, Riels, Rupiahs, and Pesos, things can get confusing. XE Currency is a staple on my phone and as I am normally jumping from one country to the next, it’s a lifesaver. Within a few clicks, I can convert any amount to multiple currencies, getting the most up to date rates. 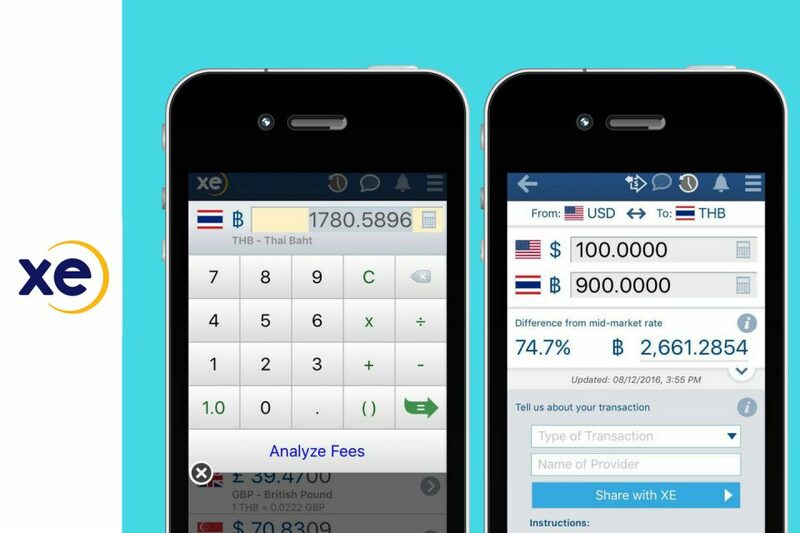 Why it’s useful: Within seconds, you can toggle through various currencies without having to exert much effort. This way, you can save your brainpower for tactical beer pong games. While Whatsapp or Viber is huge everywhere else, in Southeast Asia, everyone is on line. If you meet any locals, chances are, they would love to stay in touch with you using this platform. It’s very common to see businesses (motorbike rentals shops, laundry stores, tour operators) with their Line ID’s posted for tourists. Stickers and crazy emojis aside, the whole app is pretty straightforward and is easy to use so don’t be afraid to jump on the bandwagon. Why it’s useful: The ridiculous amounts of stickers. No, really. I guess the free calls and text messages between line members is pretty cool too. 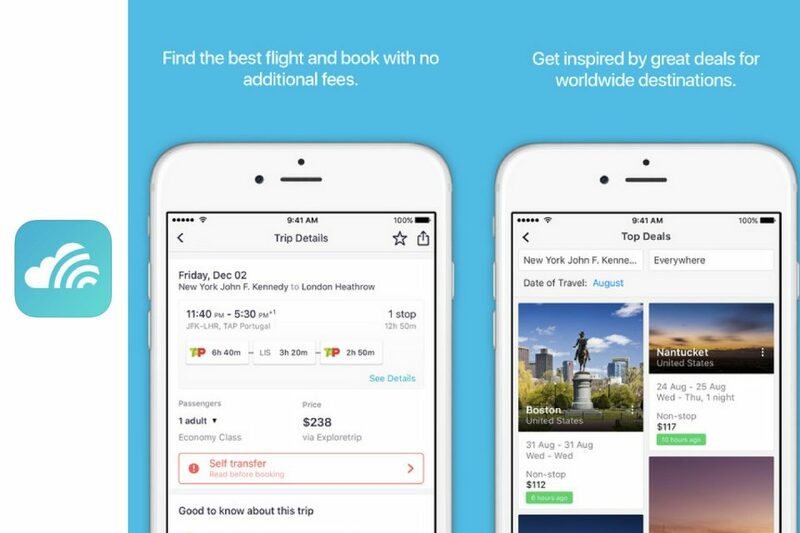 While there are loads of Flight Comparison apps out there, Skyscanner is our top choice. It’s easy to use, comprehensive, and always has the best deals. As a frequent traveler, being able to check flights quickly is like second nature to me. I confess that often, I go on Skyscanner for fun…just to see if there are any cheap flights going anywhere. 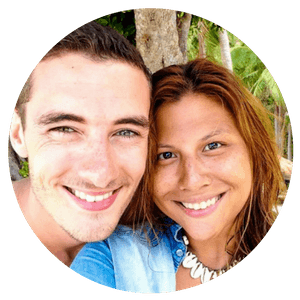 In Thailand and want to find a cheap flight out? Hop on Skyscanner and voila, you’ll be on your way to grab a piping hot bowl of Pho in Vietnam in no time. Why it’s useful: Being able to search flights with their everywhere feature is pretty handy! Scrolling down their well-designed newsfeed of where to go is enough to make me hop on a flight…like right now. I will go so far as saying this is one app that has revolutionized the way people travel and interact with each other. The photo translating feature is amazing and is something I still can’t comprehend! 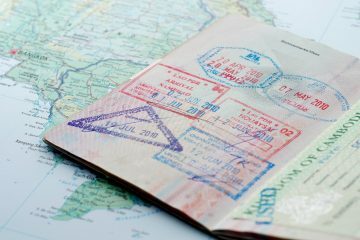 Feeling a little lost and unsure about what to do/ where to go and can’t find any English signs to help you? No problem, just bust out your google translate and instantly translate information in real time. P.S. This app works specially well when trying to order in restaurants with no English menu. Why it’s useful: Unless you’re a pro linguist who has six languages under your belt, the instant text translation feature is a lifesaver. While I don’t necessarily recommend staying in and ordering food all the time while there is so much delicious street food anywhere in Southeast Asia. However, there are times when all you want to do is stay in and relax. My partner recently got Lasik Surgery in Bangkok and since we didn’t want to deal with all the hustle and bustle while he was recovering, Food Panda was our go to app. 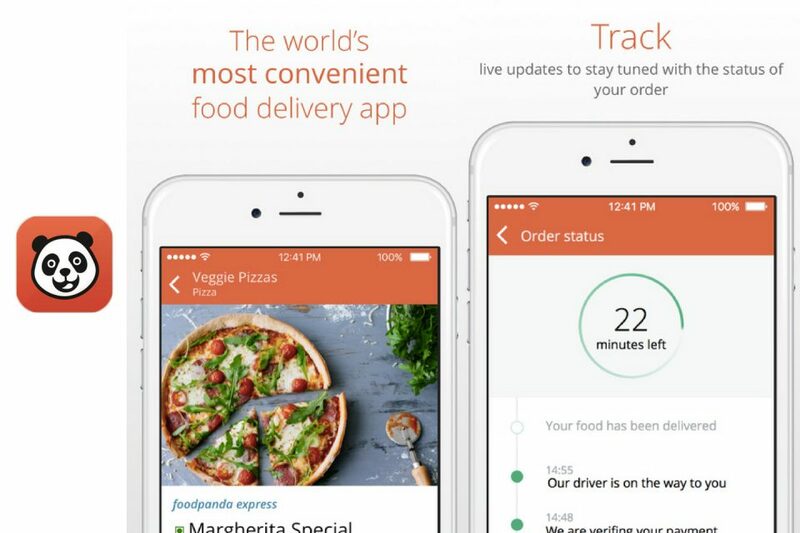 Within a couple of clicks, you could order your meal and have it delivered straight to your door step. So, next time you’re hungover, unable to walk 100m to the nearest pad thai place, keep Food Panda in mind. You can thank me later. Why it’s useful: Umm…it’s food. Delivered straight to your door. How can that NOT be handy? 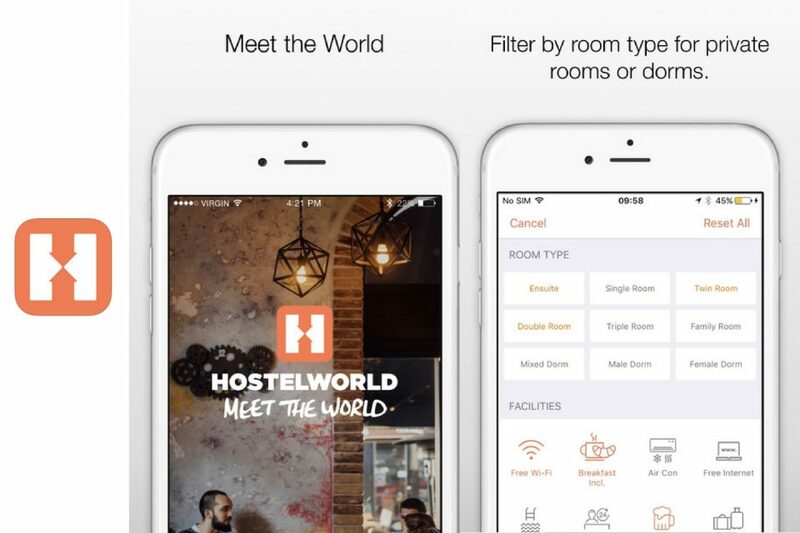 Whether you’re a hostel world or a hostel booker user, having either (or both) is pretty useful. Instead of rocking up to a place in the middle of the night (something I’ve thankfully outgrown), with a few clicks in your app, you can reserve a bed bunk. Why it’s useful: While the user interface of both is easy enough to use, my favorite is being able to read the reviews. I promise you, they are entertaining! Along with my trusty XE converter, Google Maps is an essential app that I always keep with me. While there are loads of other useful map apps out there, I don’t bother with them anymore. Google Maps for me is usually super accurate and efficient. In big cities in Southeast Asia, when I plug in a destination, it usually even lets me know important information like when it’s closing, etc. Why it’s useful: I love their photo feature now where you can see the 360 degree view of the surroundings. This helps massively as in Asia, you often don’t have signs so seeing the surroundings of a hole in the wall restaurant you are trying to find is crucial. In busy cities like Bangkok or Manila, Uber is a god send! While riding a tuk tuk is fun and is a quintessential, I’ve-been-to-Asia-experience, most of the time, they try to rip you off. Save yourself the hassle of arguing rates. Instead, get a local sim (you can do this from any 711 store), and within minutes, you can call yourself an Uber to take you anywhere you want to go. 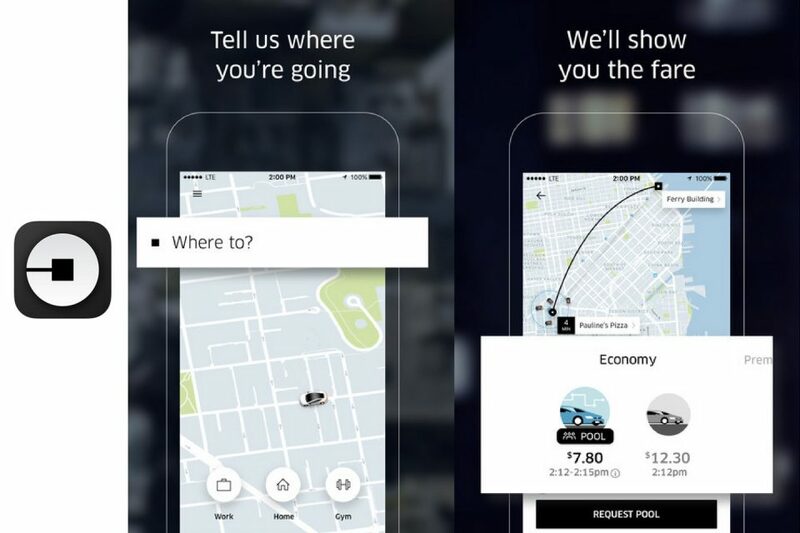 Why it’s useful: Uber has just changed the game when it comes to transportation. I did a little happy dance when they first moved to Chiang Mai as I knew my haggling days with cabs and tuk tuks were over. Offering up to date city guides for the major tourist hubs like Bangkok, Chiang Mai, Ho Chi Minh, Luang Prabang, and loads of other cities in Southeast Asia. This is a nifty little app which gives you a breakdown on the popular sightseeing destinations. Everything from temples (trust me, there’s a lot of them) to all the pubs and night clubs. It’s great to get a general idea of things to see in an area. Why it’s useful: The offline maps are pretty good to give you a general idea of where everything is located. While I am probably the thriftiest and stingiest backpacker alive, keeping track of how much I spend is something I’m not very good at. Luckily, there are apps that can help make things easier. 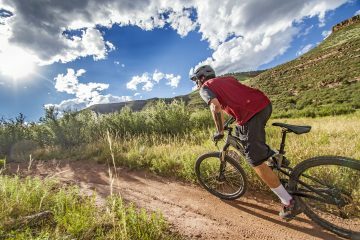 We’ve mentioned trail wallet before…but we will say them again as they are awesome! 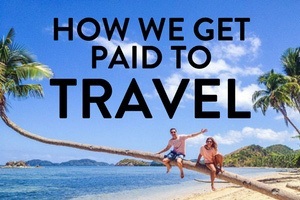 Created by backpackers, for backpackers, trail wallet is a fun way to keep track of your expenses. If there was ever such a thing. 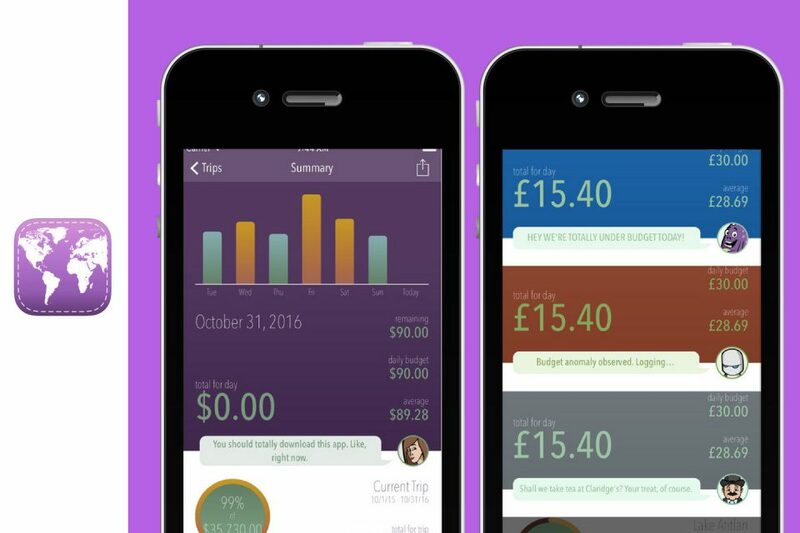 You can toggle between currencies, set trips, and set budgets. Why it’s useful: It helps you keep your bar tab down which in a way lessens your potential hangover. Win win right? We all know that Thailand means business when it comes to tourism. So it’s only quite apt that they create an app, specifically for this. 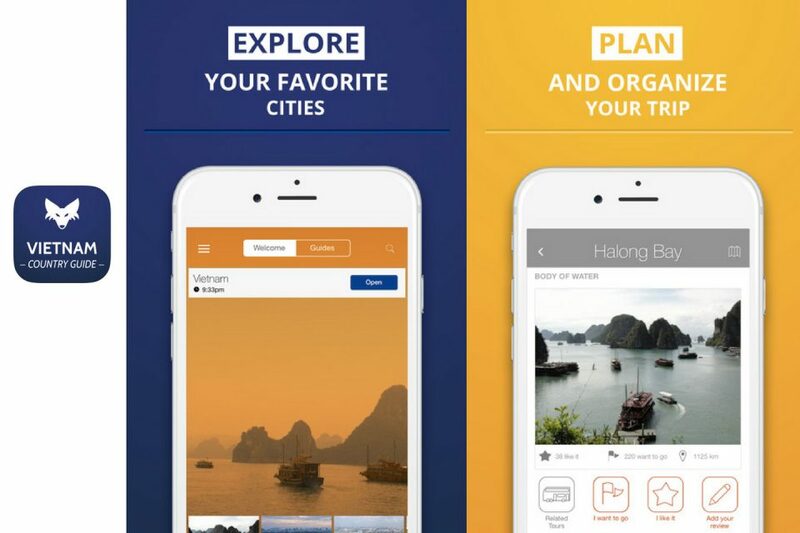 The ministry of tourism Thailand has created the Amazing Thailand App designed to provide you with information on destinations, how to get to places, where to stay, and where to eat. While there is a lot of information on there, the app itself is still quite basic but still a good place to start when looking for basic information on the best beaches in Thailand. Bangkok is an overwhelming city. 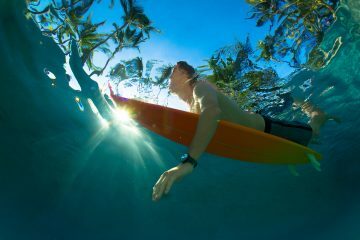 It’s a feast for the senses, especially for those who land in Southeast Asia for the first time. The first time I landed in Bangkok, I remember being greeted by a sea of endless motorbikes and cars, an elephant in the streets, and a brigaded of street food stalls and vendors. While I loved every minute of it….it can get too much. 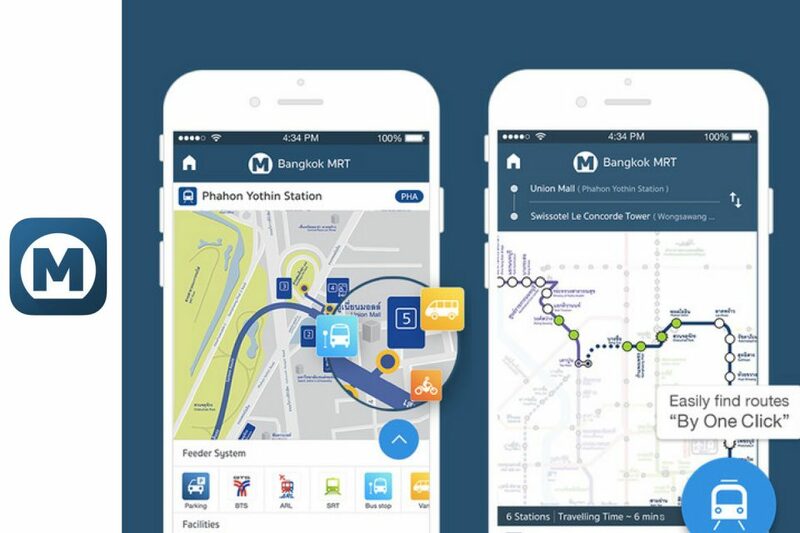 To make things slightly easier for you, I highly recommend downloading the Bangkok MRT App. The app allows you to figure out how to get around the city, easing up the daunting task of navigating this urban jungle. Why it’s useful: While the MRT system in Bangkok is pretty straight forward, it’s still nice to be able to check where stations are ahead of time. While for the most part, everybody can speak a good level of English, being able to say the basics is still a huge help. Our tip? 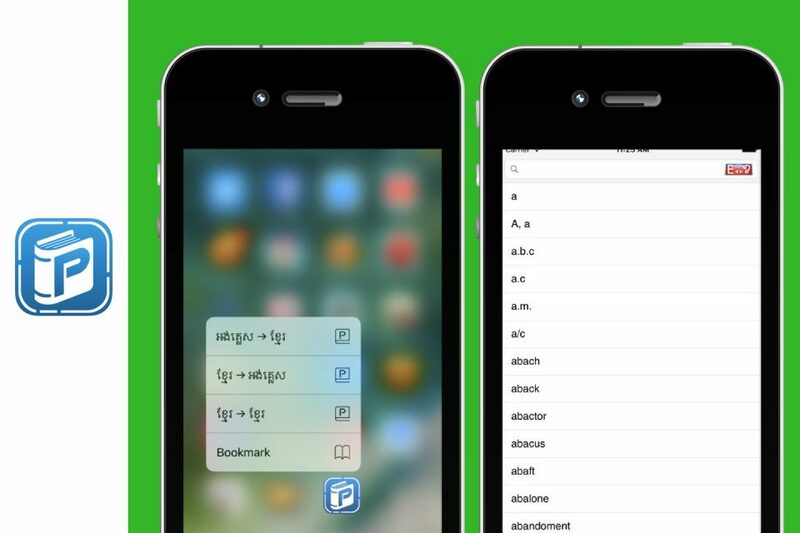 Get an app to help you say and master the basics. 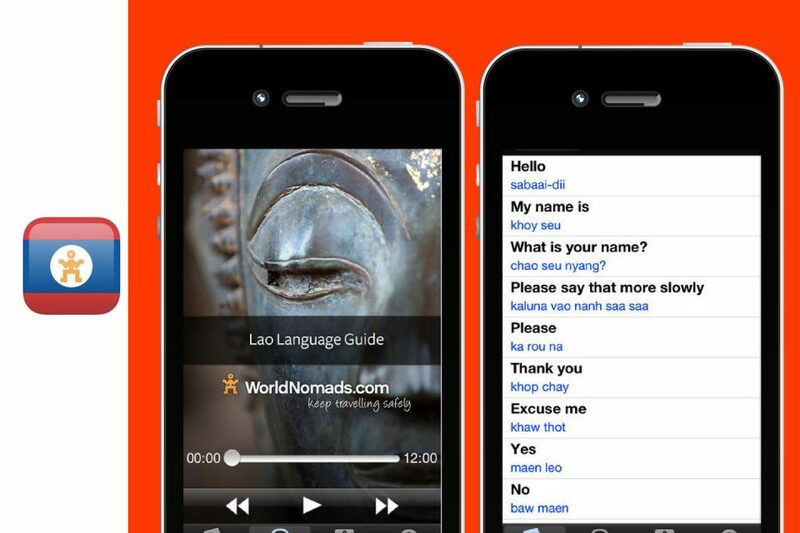 While there are loads of Thai learning apps, I like Nemo Thai as it is built around everyday conversations. 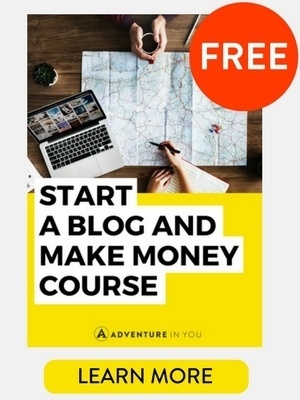 It’s customizable so you can learn what you want to say without having to go through the hassle of going through pre-made lessons. Why it’s useful: The app itself tracks your progress and is built so you can jump to sections like learning the basics for asking directions, ordering food, and general travel. Wongnai is essentially, Thailand’s version of four square. If you love find off the beaten path food spots, this one is for you. Apart from the fact that Wongnai is predominantly in Thai….food is food. Give it a chance and I promise you will stumble upon some hidden gems. 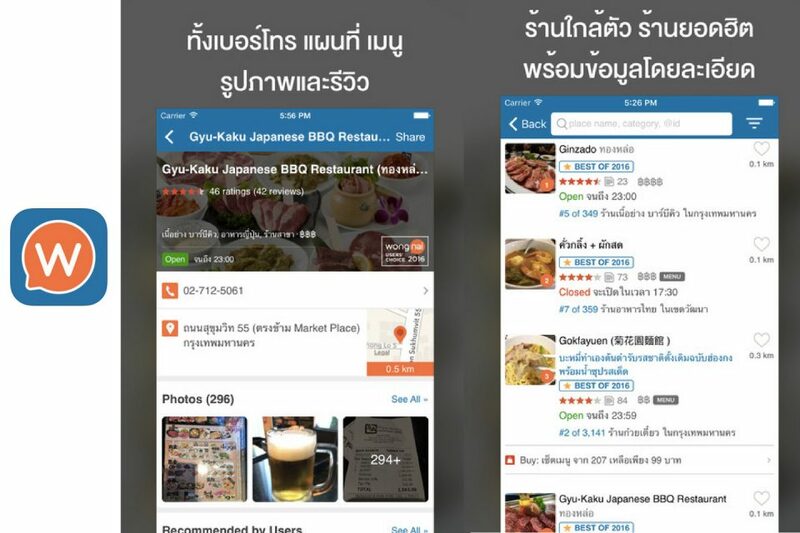 Even if you don’t speak any Thai, you can get by with all the food photos, star ratings, and maps for directions. For those who think they can’t cope with not understanding everything on the app, I’ve heard of a counterpart called Zodio which might be worth checking out. Why it’s useful: There is so much information on awesome food spots and cafe that you would never be able to find by yourself as most of it is user generated. 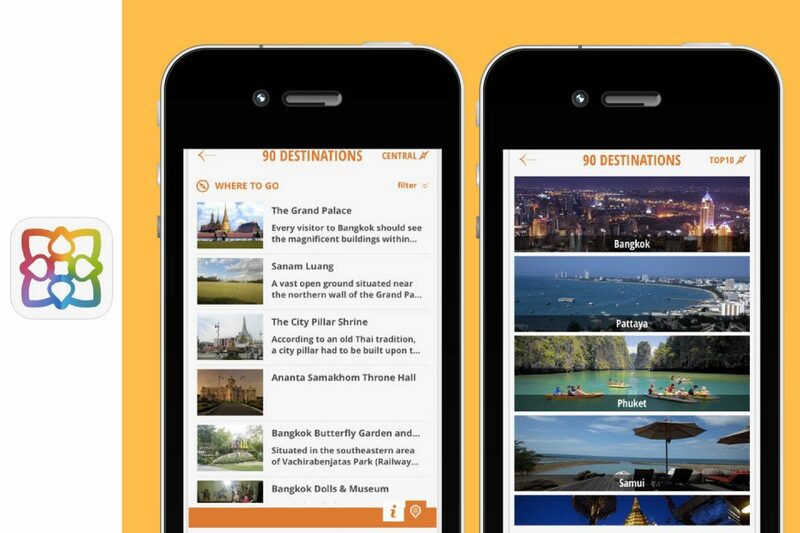 After teaming up with Fodor’s Travel, Trip Wolf is a handy app which serves as both a guide and an offline map. Allows you to plan your trip and download all the guides ahead of time, giving you access to all the highlights of the country. Why it’s useful: All in all, it’s a pretty useful guide. I have only tried out the free versions and haven’t upgraded to the premium plans which provides a lot more value. The guys over at World Nomads developed this nifty language app, guiding you through conversational phrases and words that are actually useful for traveling. 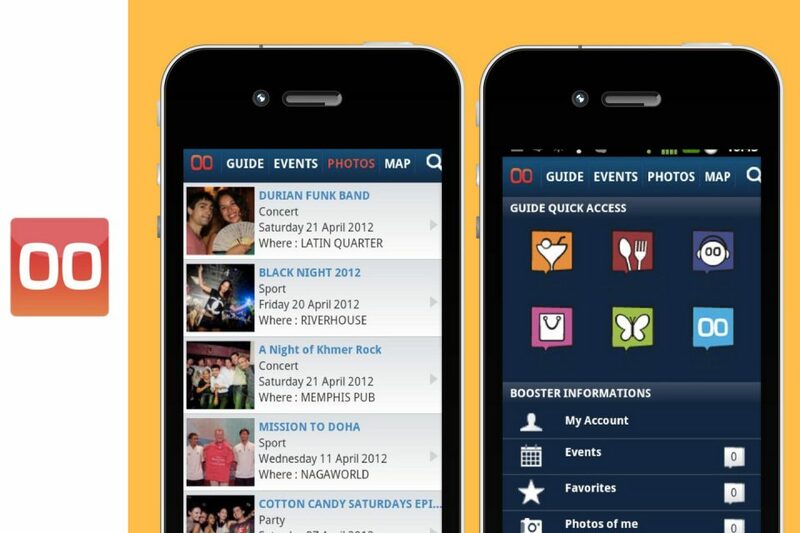 With the help of this app, you can easily ask for directions….or ask where the nearest place to buy a beer is. Useful right? Why it’s useful: The phrases section is SUPER useful as it was tailor fit just for travelers. If you’re wandering the streets of Phnom Penh, hit up LebOOst Cambodia. It has listings of restaurants, bars, events, and everything going on in Phnom Penh. It’s perfect if you want to meet locals and discover places apart from the usual backpacker bars you find in the main strip. Why it’s useful: The listings are very local, allowing you to really go off the beaten path, skipping on the usual backpacker hangout bars. 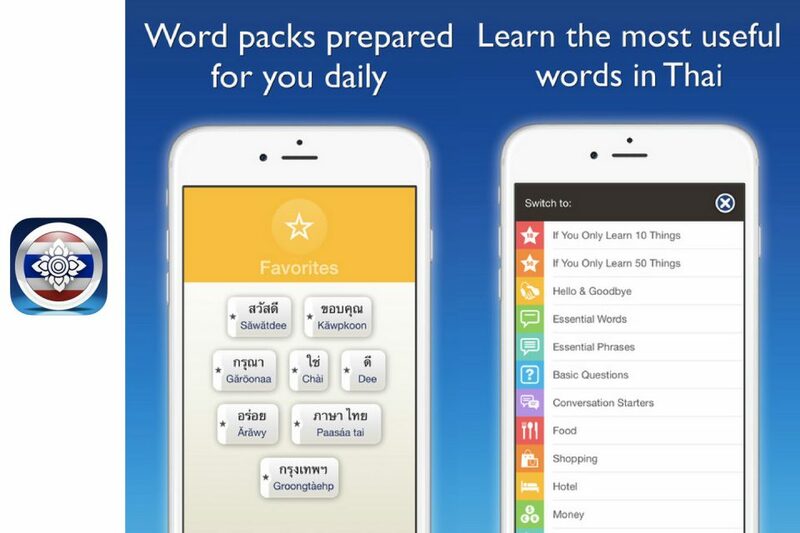 As Khmer is a rather difficult language to learn, a good dictionary can help you loads! So far, this is one of the best ones we’ve seen. While the interface is super simple, the translations are rather accurate. Trust me, a good dictionary can help you say “No thank you, I don’t want to eat a tarantula” when needed. Why it’s useful: Who doesn’t need a dictionary when traveling? 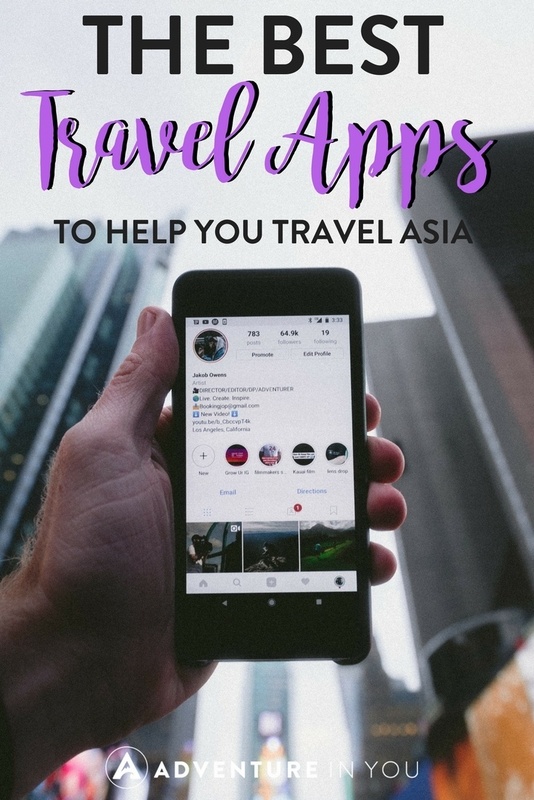 While there is literally heaps of apps out there, these are a few of the staples that I have found useful during my travels around Southeast Asia. What about you? 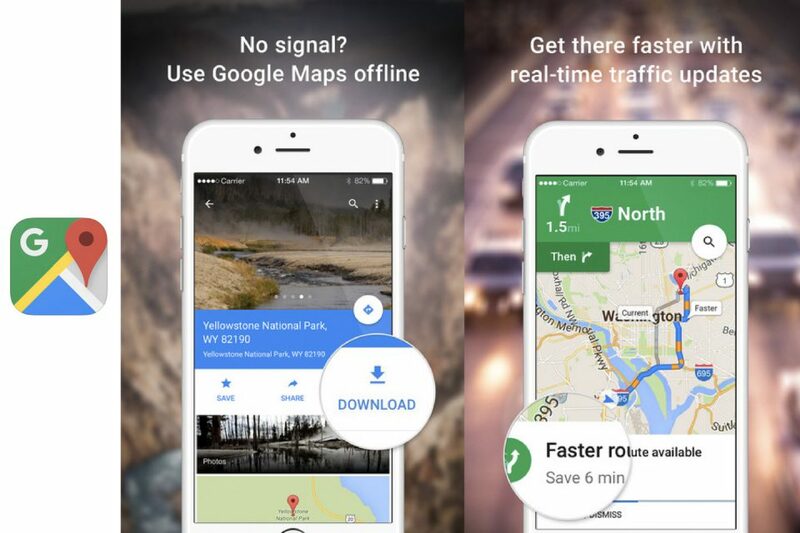 What’s your go-to app when on the road? Great article. I use XE and Hostelworld. But I always try to use the apps less 🙂 I like to travel without it. I love finding out about new apps as I love reviewing them. 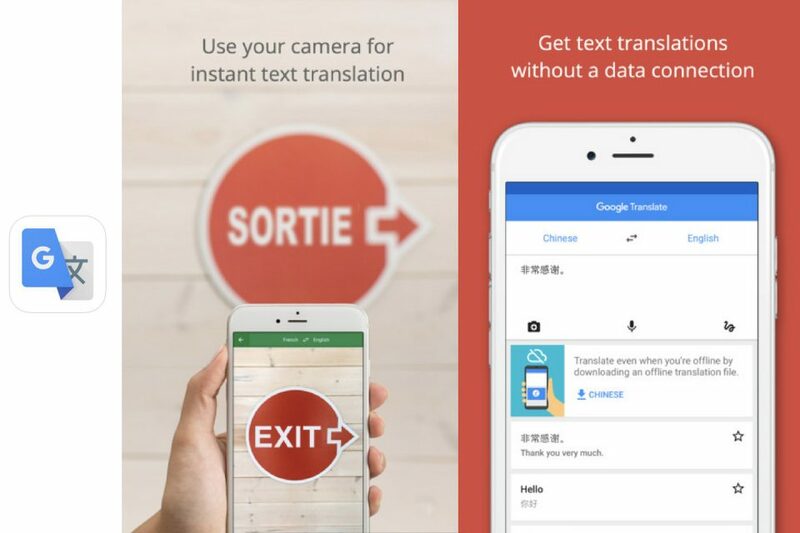 Some app I heard of and use like Currency Exchange, Google Maps & Translate and Skyscanner. However there are some mentioned in this post I never heard of which I’m now curious about. 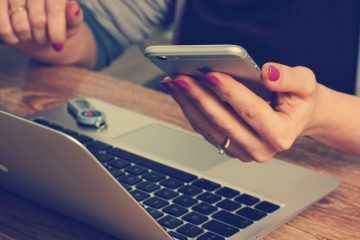 Fab list of apps – I agree that it’s quite overwhelming nowadays to figure out what should be on our phone and what’s not worthwhile. My two favs are XE Currency and Skyscanner. Love them both! I use four of these apps living in Paris. I particularly like XE, as well as Google translate. I’d be lost without that one. 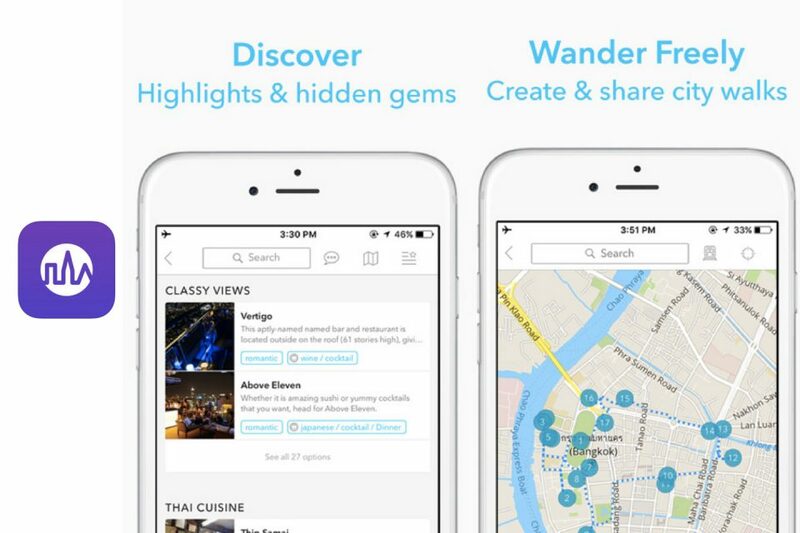 This is a useful collection of apps for anyone (not just backpackers). I’ll certainly bookmark this for my next trip to Thailand. I love the Food Panda idea too. Does that work for anywhere in the world? Great suggestions! I love the idea of Food Panda too for those days when you just don’t want to deal with the hustle and bustle! TripIt has been my go to app, as of late. Although you have introduced me to a few that I need to experiment with. I use Google Translate and Google Maps all the time for travel everywhere. Google Translate has been incredibly helpful to have on more than one occasion in various places, especially when the the language is written in other characters. Haha! It comes in handy in places like China where there are NO English signs! Wow, super informative post. 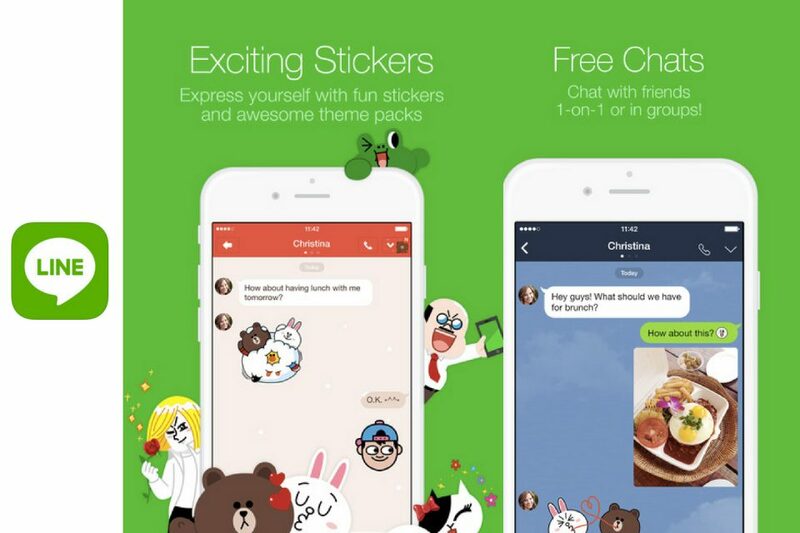 I must say, I’ve never heard of the Line app, as I thought that Viber and What’s App were the most popular texting apps in most countries. Also love the Skyscanner rec. It is one of the instances when I tend to use their app more than their website, since their app is so well designed. Thanks for sharing so many tips! No problem! I love Skyscanner as well. Their new feed is incredible. 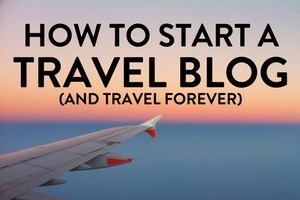 Great for satisfying my wanderlust but bad for my travel budget.